Product categories of All Purpose Spray Paint, we are specialized manufacturers from China, All Purposes Spray Paint, Glitter Spray Paint suppliers/factory, wholesale high-quality products of Lacquer Paint R & D and manufacturing, we have the perfect after-sales service and technical support. Look forward to your cooperation! 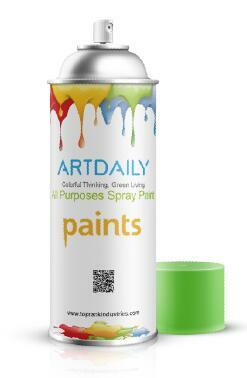 TR' Spray Paint is quick drying, high gloss and full hide coverage in one coat, with or without a Primer Paint. It provides durable finish with no crack, chip or peel.